The MACE Mantra Appears on Facebook as a Meme! | Georgia Teachers Speak Out! ← Read The MACE Manifesto: The Politically Incorrect, Irreverent, and Scatological Examination of What is Wrong with American Public Education. The MACE Mantra Appears on Facebook as a Meme! Our good friend J. B. (Josh) Stanley shared this meme on Facebook. As you know, this statement has been the MACE mantra from the very beginning. 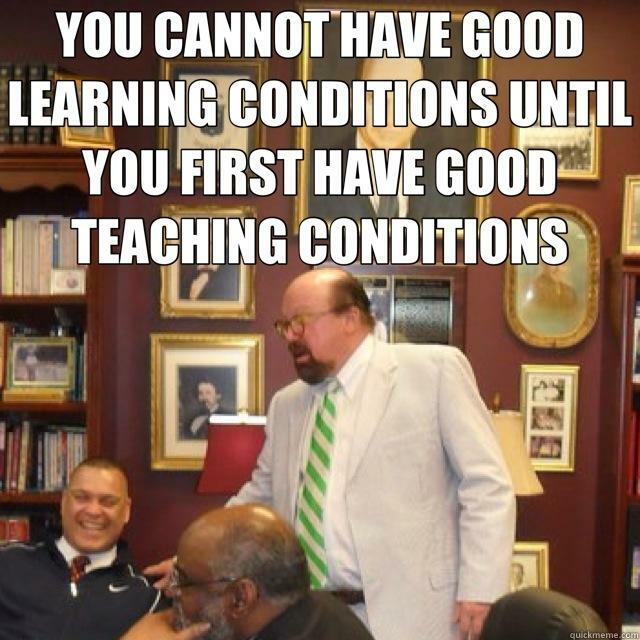 Truly, you can’t have good learning conditions until you first have good teaching conditions.